This quick and dirty hack, as requested by arathea, causes step-family to no longer be recognized as such. The effect is that sims can now have romantic relationships with step-family. May have a similar effect on in-laws. The negative side effect is that sims can no longer Encourage their step-children. Other parental interaction based on the step-family check will also be broken. UPDATE June 4th, 2015: An alternative (alt) version of this mod is now available! Family interactions between step-parents and step-children remain intact. Step-siblings are no longer considered family, but have the Romantic interations available, if so desired. 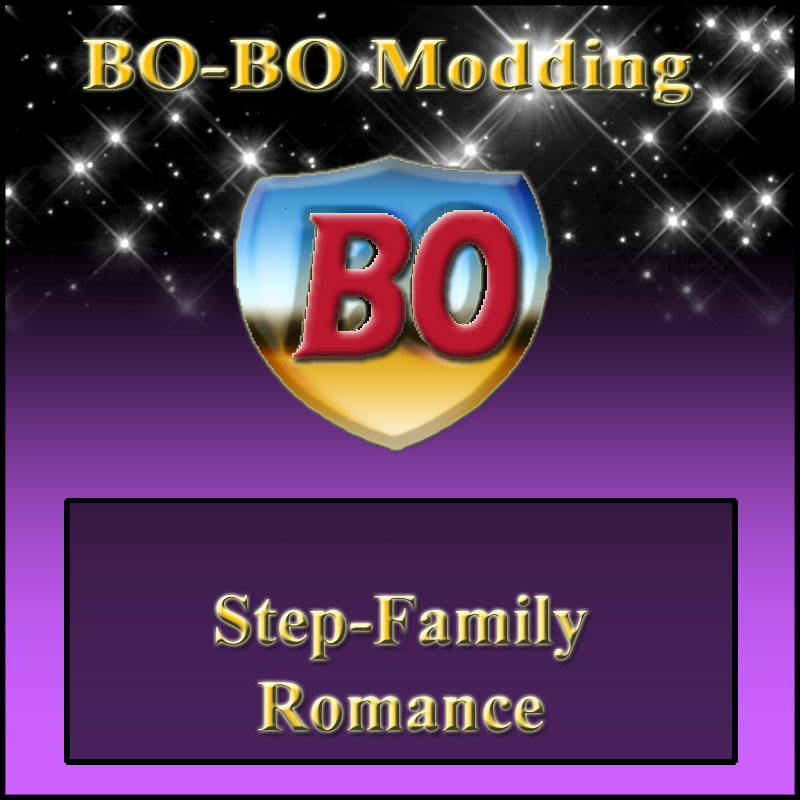 UPDATE October 2nd, 2018: There is now a more complete version of this mod: BO - Step-Family Romance (fix). New feature: this mod includes the In-laws fix as originally created by kestrellyn@MTS2, added with her kind permission. Check her page out for more info. Instead of removing a few unneeded tests, I originally just inverted their results when originally creating the alt version. Again, thanks to kestrellyn, this error has now been rectified. UPDATE October 9th, 2018: I've decided to also remove the unneeded tests from the (alt) version. For those who want the latest version, but do NOT wish the In-Laws fix. An upgrade to the new FIXED or ALT version is highly recommended. I am surprised at how many times I have overlooked this mod. It wasn't until recently as I was playing TS2 in my medieval neighborhood and a plague left some orphans, that I could see the usefulness of this mod. Especially when there were some born in game babbies with whom I wanted to continue to explore the genetic possibilities. I feel like this post is babblish but I hope you can understand how I see a very positive use of this mod. Oh yes I do, dear. And the person who originally requested it plus 80 other downloaders seem to agree with you. I myself don't use it anymore, although at one time I liked the idea. But especially in medieval and/or post-apocalyptic scenarios, it's certainly understandable how such practice can be the only means of survival of the species.